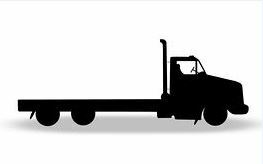 National Freight Trends: Van, Flatbed, and Reefer rates have STABILIZED! With backorder loads out of the south resuming since the impact of Hurricane Michael we have seen a slight dip in rate activities. With the end of Q3 on the horizon we are anticipating load to ratio rates to remain high to close out 2018. With demand this high please consider reaching out to trusted freight brokers with suggestions on fulfilling your freight needs. As always, please reach out to me at ray.mcdonald@insurelogistic.com with any questions you may have. Rates are calculated by taking the mean of the current National rates from two respected load boards. These freight rates estimates displayed does not reflect the rates of freight that have special requirements.